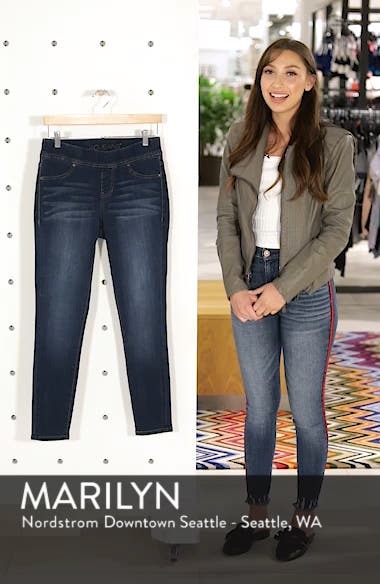 Stretch-denim pants in a super-skinny cut combine the sleek flattery and styling versatility of leggings with the laid-back attitude of your favorite jeans. Choose a sizeTrue to size. XS=0-2, S=4-6, M=8-10, L=12-14, XL=16-18 (14W).